Positive first impressions are extremely important for businesses and can even be the difference between success and failure. 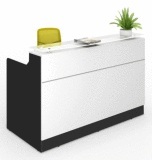 As a result, you should never underestimate the importance of reception furniture. 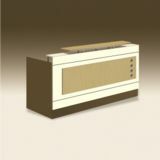 A comfortable and practical reception counter helps to communicate the culture and values of your business to visitors. At Adco Office Furniture, we can provide quality office reception furniture that helps you to achieve the initial impression you desire. Prospective clients and other visitors are sure to be impressed by the sense of professionalism that our reception desks deliver. 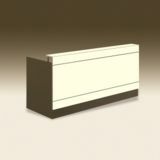 Adco Office Furniture has no shortage of options when you’re looking for a reception counter or reception desk for sale. Whether you want a modern and simplistic design or a more stylish and elaborate option, we can meet your needs and your expectations with our range of office furniture in Melbourne. If you have a particular design and specification in mind, including specific shapes or colours, we can help you create it. Speak to one of our specialists to discuss your requirements and find reception furniture that best suits your business. 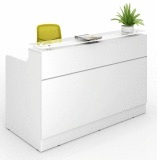 When it comes to office reception furniture, there’s no better choice than Adco Office Furniture. Call us now on (03) 9808 4404 to learn more, or message us online and we’ll get back to you as soon as possible.